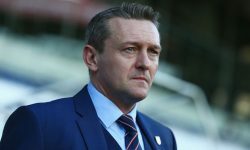 Qualification Group 8 leaders England U21s can take a significant stride towards reaching the Euro 2013 U21 Championship play-offs with victory over second-placed Belgium U21s at the Riverside this evening. The Young Lions are 2/5 favourites to pick up their fifth qualification win out of six in bwin’s 3Way football betting market, with the draw at 13/4 and a Belgium success at 11/2. Anyone looking at the odds could be forgiven for thinking that England are set to stroll to victory, yet it is little less than three months since Belgium beat Stuart Pearce’s side 2-1 in Mons. The Young Lions have been ahead at the break in five of their last six matches and have gone on to win all but the Belgium game – making an England/England half time/full time bet a good one at odds of evens. Indeed, while Belgium have picked up four points fewer than their opponents this evening from the same number of games, they have caused teams plenty of problems in attack. A record of two wins, two draws and a defeat from five games perhaps masks the fact that Belgium have scored 11 goals in their qualification campaign so far and at least twice their last four matches. 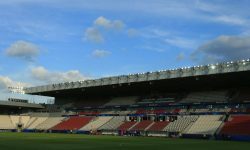 As such, they should be backed to score at the very least at odds of 11/20, with Brian Eastick – who is standing in for Pearce to allow the former Nottingham Forest defender to take charge of the full national side – aware that his team are up against a “good team” with “three of four very good players”. The good news for Eastick is that he also has some very good players to choose from: eight members of his squad have started a Premier League game in February. And given Belgium stole victory from under England’s noses with two late goals back in November, home advantage should be enough to ensure the Young Lions pick up a valuable victory. With this in mind, a bet on both teams to score looks an obvious choice at odds of 67/100. Punters can win £41.25 if they wager bwin’s £25 free bet on this outcome and both teams do indeed score, with the free bet available to new customers who sign up for a bwin account. But for those looking for bigger returns, then betting on England to be winning at both half time and full time could be the answer. Poll: Is Parker the right choice for England captain?